Kist Orange Soda Beverage Metal Serving Tray, World War II Theme. Circa 1940. 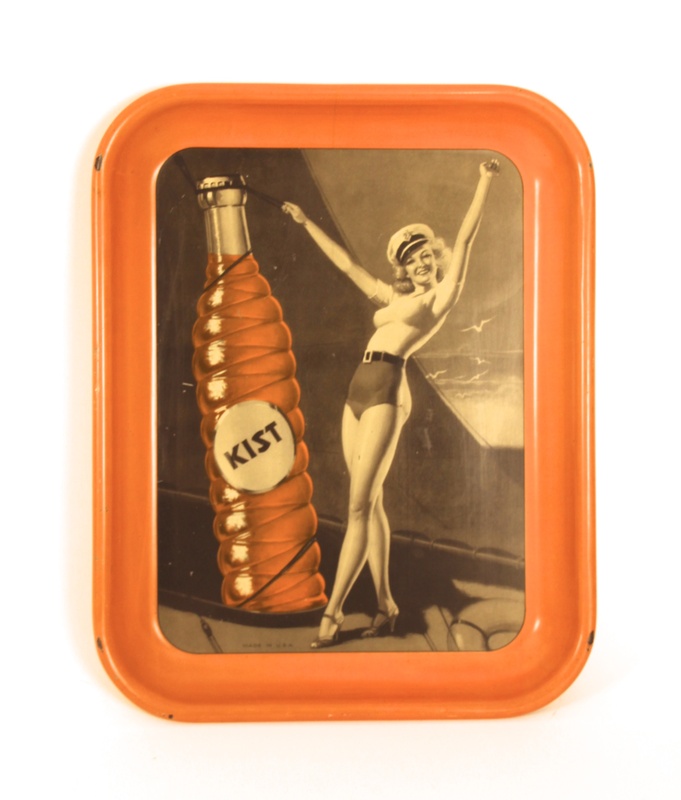 This is a beautiful metal serving tray from the Kist Orange Soda brand illustrating a woman dressed in a bathing suit with a navy hat on her head and an oversized bottle standing next to her. Circa early 1940’s. 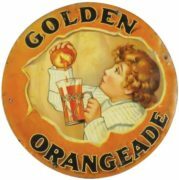 The Kist brand of Orange soda was one of the countries biggest sellers for many years and this tray is especially interesting to collectors as both a soda and a military collectible. 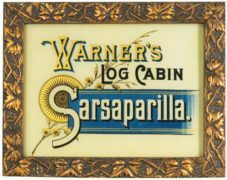 Rectangular soda serving trays were very common for many years starting in the late 1920’s with the Coca-Cola brand in continuing on through the 1950’s. 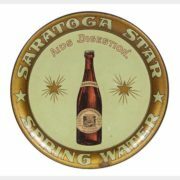 During this time period many regional and national brands used these trays. 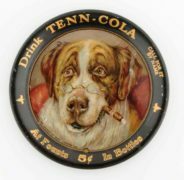 Many of this style of soda trays were made by the American Art Works Company in Coshocton, OH.